← What is Your Favorite Instrument? We have always searched for ways to liven up a long road trip. There’s nothing more dull than hours upon hours of endless motorway. If you’ve got children, the chorus of “Are we there yet?” doesn’t make the journey any easier. Whether it’s music, books or car games, we have always looked for something to keep us busy. Anything that makes the trip go a little faster is a bonus. Technology has helped significantly in this area. The introduction of car radios changed our entire driving experience. There are new technologies just around the corner that will have a similar revolutionary effect. It won’t be long before most cars are equipped with the internet as standard. This is a game changer for in-car entertainment. We will soon be able to access ‘the cloud’ from our cars too. The whole nature of in-car systems is in a period of change. They have remained much the same for decades, but technology is in a transitional period. Dashboards are becoming more intuitive. Many new cars have voice recognition and satellite navigation as standard. This has paved the way for a new generation of car entertainment. This list looks at some of the best new entertainment systems available. Keeping the kids occupied in the back has been a long battle for parents everywhere. Mums and Dads have always looked for something to keep the noise down. Anything that stops the relentless kicking on the back of the chair is a lifesaver. The addition of DVD players in certain cars came as a welcome relief. Being able to put on their favourite DVD lets you get on with driving in peace and quiet. It’s actually safer too as it ensures the driver stays focused and isn’t distracted from behind. Drop down DVD players – There are a couple of different options for car owners here. The first is the DVD screen that folds down from the roof of the vehicle. It can be neatly tucked away when not in use and dropped down when needed. The kids in the back will have to share one screen, so you’ll have to find a film they agree on! Headrest DVD players – The more modern option is the headset in the back of the seat. In some cases, each of these can be controlled separately. With a pair of headphones, you can play two different films on the two screens. These tend to cost a little more than the drop down but offer more versatility. Dashboard DVD players – These are not so widely available. In fact, they are banned in certain states in America. The argument here is that they are potentially distracting to drivers. They are designed for the passenger on long drives. The screen is sunk into the dashboard and angled towards the passenger for their entertainment. When the internet arrives in our cars as standard, we will be able to stream TV programmes too. We will be able to connect these screens to our Netflix accounts or other streaming services. Passengers can catch up on some TV or binge watch their favourite shows on long journeys. Within the next few years, 25% of new cars will come with Wifi. A quick glance at www.easternwestern.co.uk will show that some already have it as standard. Even if your car doesn’t have a wifi hotspot, you can connect using your smartphone’s tethering service. This will alter the way we use entertainment in our cars. It will reduce our reliance on the radio and CDs for music. It will let us stream TV and get up to the minute traffic news. You will even be able to update your Twitter or Facebook status on the go with voice recognition. We are only just beginning to see this technology. However, Apple and Android both now have a car integration service. That means that your smartphone can be synced to your car through the dashboard screen. The touchscreen service will let you access key functions to your phone without actually looking down at it. The technology is controversial. Some say that it is no different to actually using your phone. However, it will allow you to access your music library, maps, text messages and calls. Radio has already seen a significant decline over the last ten years. The internet has allowed us to make our own playlists of our favourite music. Services like Pandora and Spotify give us access to any song we want. These services will soon make the transition to our cars. Up until now we have had to choose between radio or CDs. Now we can take our entire online collection with us on any journey. Stereo systems are also becoming more and more sophisticated. The speakers that come as standard have typically produced poor, tinny sound. Nowadays many new cars are equipped with subwoofers and high tech speakers. In the past you would have to pay big money to install these powerful sound systems. The future sounds much better. 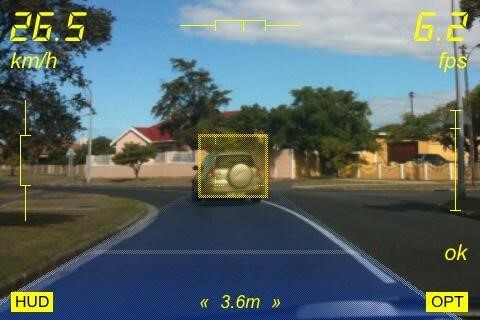 Augmented reality is only just being tested in some cars. This technology really is futuristic and exciting. You’ll have seen augmented reality talked about in connection with Google glass. Essentially, it is a technology that adds information and value to the world around you. In the car, it will be housed on your dashboard or on your windscreen. For example, you may drive through a new town and have no idea where anything is. Digital pop ups will appear on the windscreen to give you information about the city. They will direct you to tourist sites or useful shops. This technology is way off yet. However, the potential for both information and entertainment is limitless. This list should give you a good idea of what’s out there right now in the world of car entertainment. More interestingly, it’s a look towards the future. It paints a picture of what our car entertainment might look like ten years from now. One thing’s for sure, the internet will be a big part of that. Cars are the last place in our everyday world that hasn’t taken advantage. Rest assured, they’re not far behind.